While past service projects have focused on major construction and renovation projects, today’s focus is primarily on engaging members in collaborative ways to directly support youth and families in need and support children’s education. The Newark Rotary Special Needs Committee has been committed to its “signature” events for many years now. Our club organizes, arranges, and hosts two annual events for local children with special needs. Our club also assists with the Area 6 Special Olympics in support of club member Tony Adams who is on the Special Olympics Board of Directors. Through serving individuals with special needs, our goal is to not only voice support of this important microcosm of our community, but to show support in action for these very special young souls. The educators and aides that accompany these children express how much the events mean to these little ones and the joy these outings bring to them is evident on their faces. The admiration of these young people and the joy they bring to us as well is immeasurable. 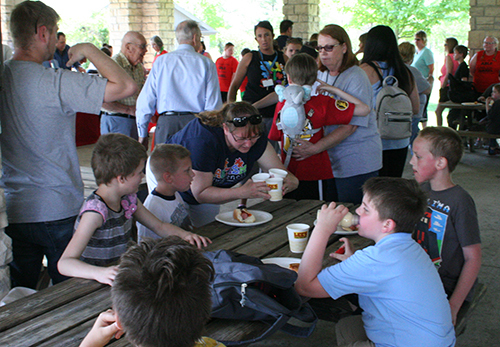 Each spring, during one of our May Rotary meetings, we host roughly 80 students, teachers, and aides from the Newark City School’s special education classrooms at the Rotary Pavilion on Sharon Valley Drive. The club provides them with lunch and enjoys watching them play on the accessible playground equipment. Often a representative from the Newark City Schools will speak to those in attendance. 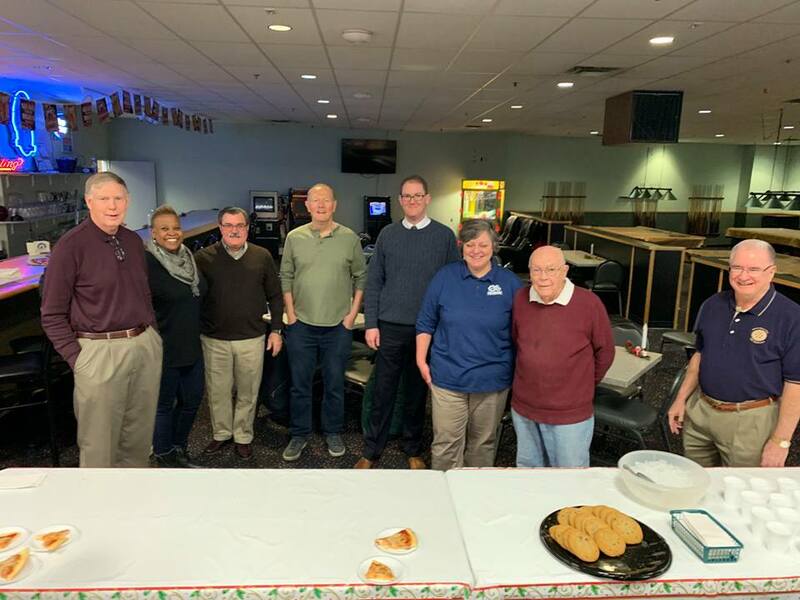 Held at Park Lanes each winter, just before the children are dismissed for winter break, we host about 80 students, teachers, and aides from the Newark City School’s special needs classrooms. The club covers the cost for bowling and shoe rentals and serves lunch to the young bowlers. This is very well-attended event and club members enjoy watching and cheering on the students as they bowl. This annual event, previously held at Denison University but more recently held at Watkins Memorial High School, gives us the opportunity to support our special needs athletes that participate in events including track & field, power lifting, bocce, and tennis. Areas of volunteering recording results, timers, presenting awards, set up and tear down, food service, and many other tasks. This event usually has about 700 athletes who participate in the games.